Co-founder of Ma Foi, the largest HR service provider in the country. Ma Foi has recruited more than 3,43,000 professionals in a short span of 19 years. Integrates the Financial, Administrative, and HR activities of the organization for about 1500 Professionals &amp; 61,0 00 deputees operating from 55 offices in India. Played a crucial role in the evolution of Accounting, HR and Administrative systems and policies for the organisation. Started her career as a qualified Auditor, M/s. S.B. Billimoria, part of M/s. Delloite. Founder – Trustee – The Ma Foi Foundation – CSR wing of Ma Foi, The Foundation supports around 4000 children financially &amp; empowers them with required skills through the “Disha” scheme. The children are also covered by a healthcare scheme called “Ekam”. The focus of ‘Disha’ has been holistic development of the underprivileged children. Disha also runs a sports academy to train these children in various sports. Founder-Trustee of Sornammal Educational Trust (SET) that runs a school in Chennai for the underprivileged. The Trust also takes active part in the Self Help Group activities which has around 65,000 women in Chennai and Madurai. The Trust also empowers youth through vocational training. Member of the Governing Body of the Golden Jubilee Biotech Park for Women which is run under the leadership of Prof. M. S. Swaminathan. Active Rotarian, Rotary Club of Adyar, Past President – for Rotary District 3230, 2010-11. 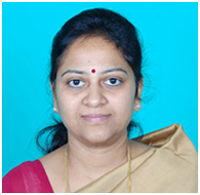 Past Chairperson, FICCI Ladies Organization (2008-09) – Co-ordinated interesting programs to empower women of all strata. Special Advisor to Namma Chennai a city based bi-lingual fortnight magazine.